for the open source software that runs the system. 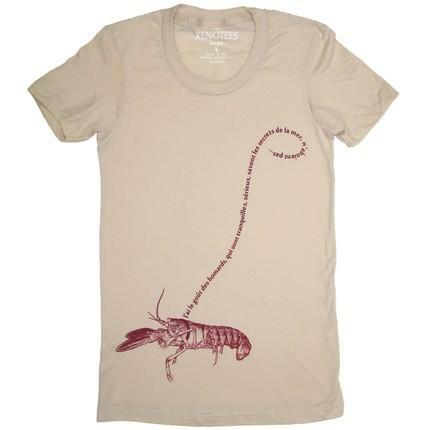 All are worth printing either by threadless or picked up by another company. Props to the artist. I can’t get enough of her style – though I am not crazy about the design around the collar but it is different. (to try and make it fair for everybody), but multiple orders can be placed. On Monday, May 12, 2008 at 06:28:01 UTC a 7.9 magnitude earthquake devastated the Eastern Sichuan region of China and reports are estimating that upwards of 50,000 lives will be lost. ‘s vision is hope. Help us sell 50,000 shirts and raise $1,000,000 for the victims in China.
. You can be a part of something important. You can be hope. and reserve your shirt today. the upcoming Miami based line is already back out with a new tee. 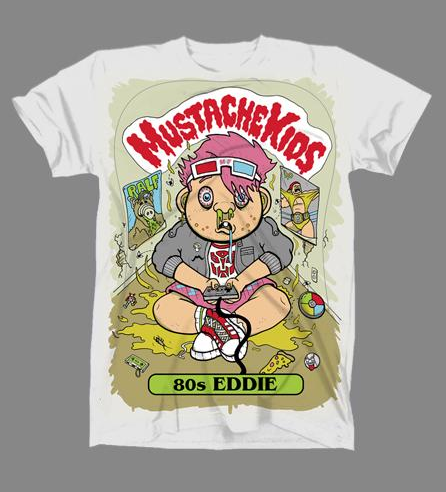 The golden 80s are represented, Mustache style, on this Garbage Pail Kids inspired tee shirt. button pack and free shipping. Preorder ends, June 1, 2008.
is making a splash on the tee scene. I will be out of town until Tuesday of next week (but will have email access). If anyone is wanting to make a guest post now would be the time. Email me at admin @ taddict.com with your post (can be about your site, your favorite store, shirt designs, etc). Who ever is chosen will be given free advertising rights for 1 month and of course your featured post.